Raise your hand if you love meatball subs? 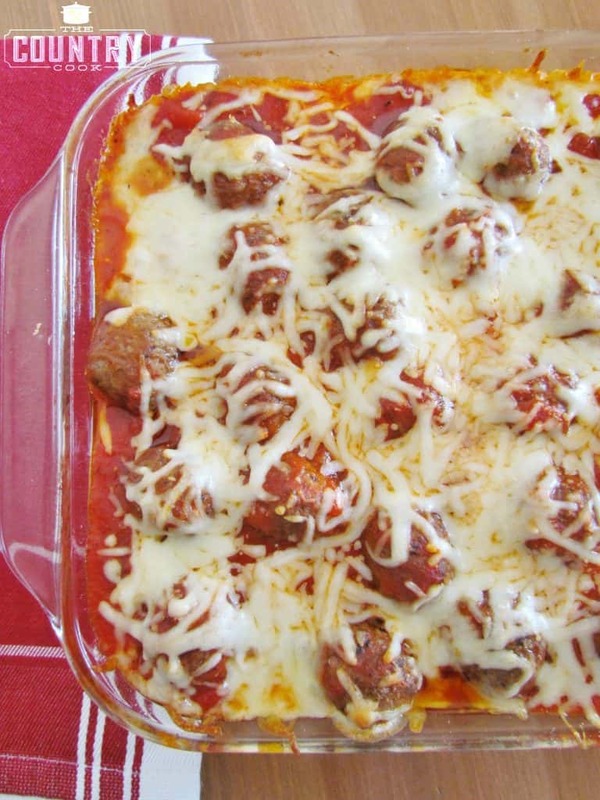 Now how would you like to take all those flavors you love about a meatball sub and turn it into a casserole? Well, here ya go folks. This was the best tasting casserole I have had in a while. Not only was it super easy to make but the flavors blended so well together. The smells that were coming outta my kitchen the evening I made this were so good that the neighbor’s little boy said he just had to come over and eat supper with us. And he did! 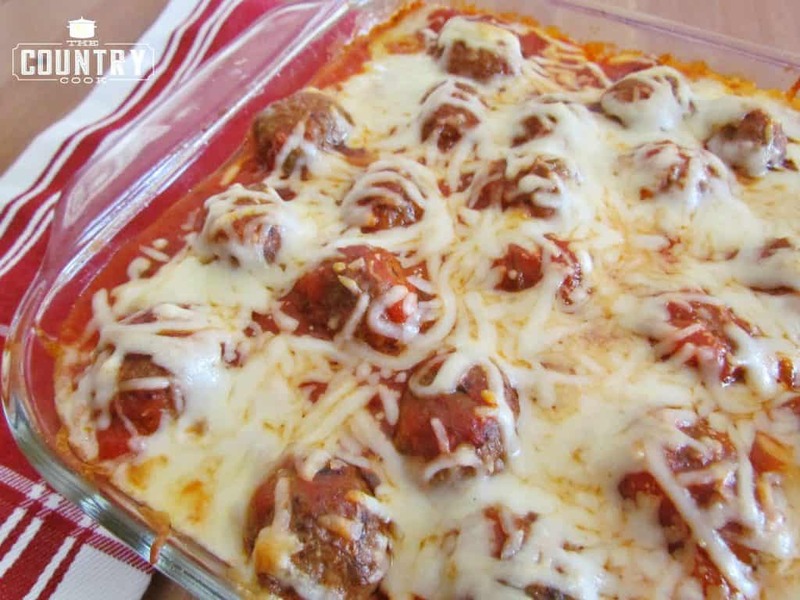 This is a family friendly meal and using the pre-made meatballs really makes this quick to make. 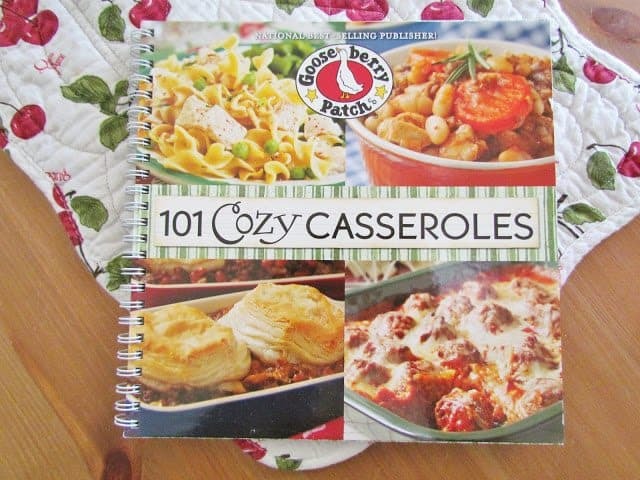 This delicious casserole recipe comes from the latest Gooseberry Patch cookbook, 101 Cozy Casseroles. I’ve been in Gooseberry Patch heaven with all the new cookbooks that have been coming out. Each recipe in this cookbook comes with a picture. So if you’re a visual person, you’re gonna love this cookbook. 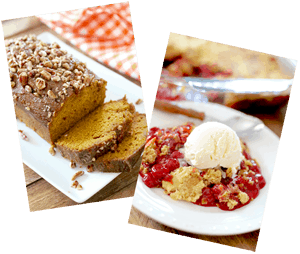 In fact, the pictures were so gorgeous, I had a hard time deciding which recipe to choose to make for y’all. And I’m pleased to say that my casserole looks just like it did in the Gooseberry Patch book so you know yours will too! Preheat oven to 350F degrees. 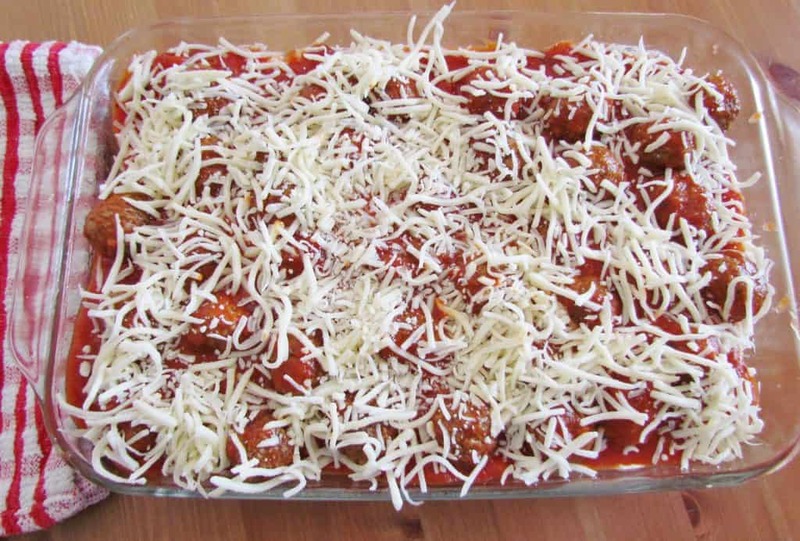 Arrange bread slices in a single layer in an ungreased 9×13 baking dish. Note:After making this a few times (because we love it!) I recommend toasting the bread first. Just fill in any gaps with smaller bits of bread. I did have a couple slices of bread leftover since my loaf of Italian bread was pretty wide. I used those extra slices to make some garlic bread to serve with this. 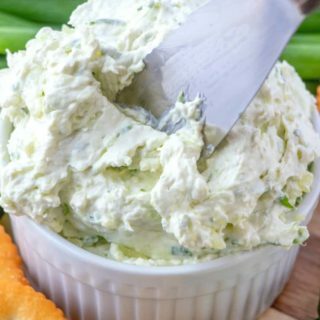 In a bowl, combine cream cheese, mayonnaise and seasonings. Spread mixture over bread slices. 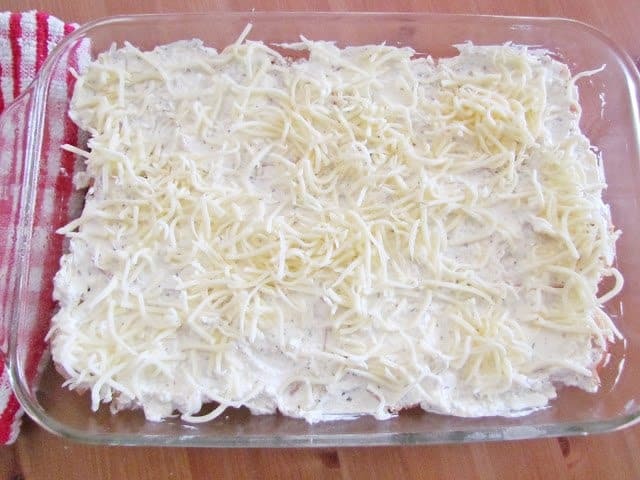 Sprinkle with 1/2 cup shredded mozzarella cheese. 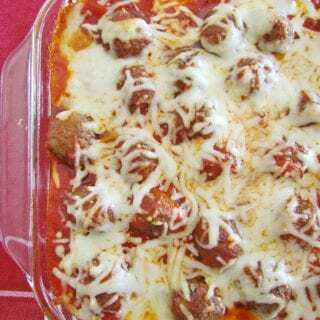 Gently mix together spaghetti sauce and meatballs. Spoon over cheese. Bake uncovered for 30-35 minutes. Serve with a green salad. Cook’s Notes: Some folks are concerned about the bread coming out too soggy. My advice for this is to toast the bread slices before placing them in the bottom of your baking dish. This should help them maintain their shape and texture while cooking. 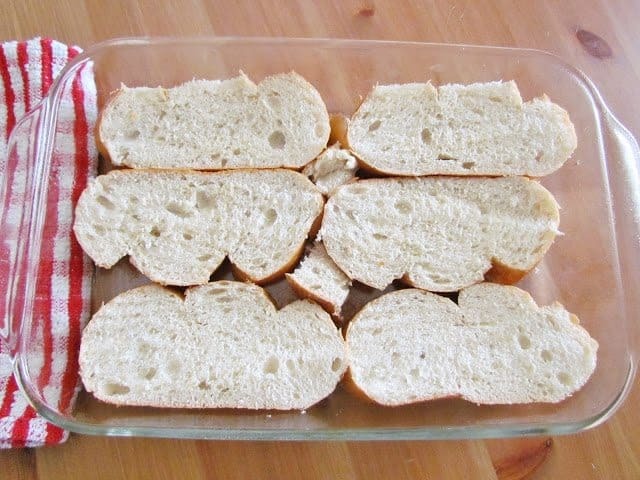 Arrange bread slices in a single layer in an ungreased 9 x 13 baking dish. Fill in any gabs with pieces of bread. Note: I recommend toasting the bread first. You can place the dish into the oven (on the broiler setting) and toast both sides. It should only take a minute or two. 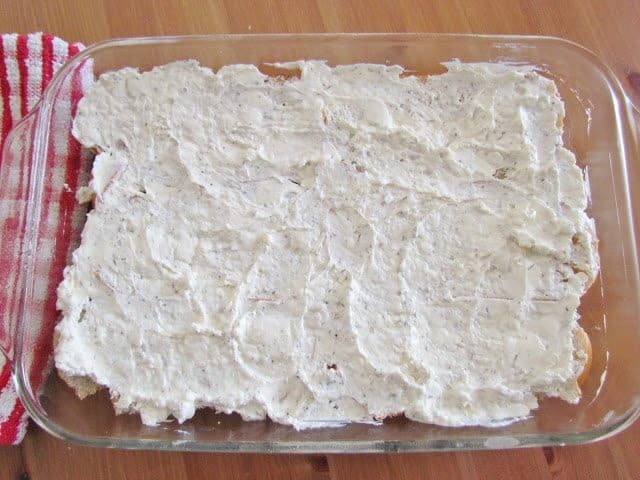 In a bowl, combine cream cheese, mayonnaise and seasonings. Spread mixture over bread slices. 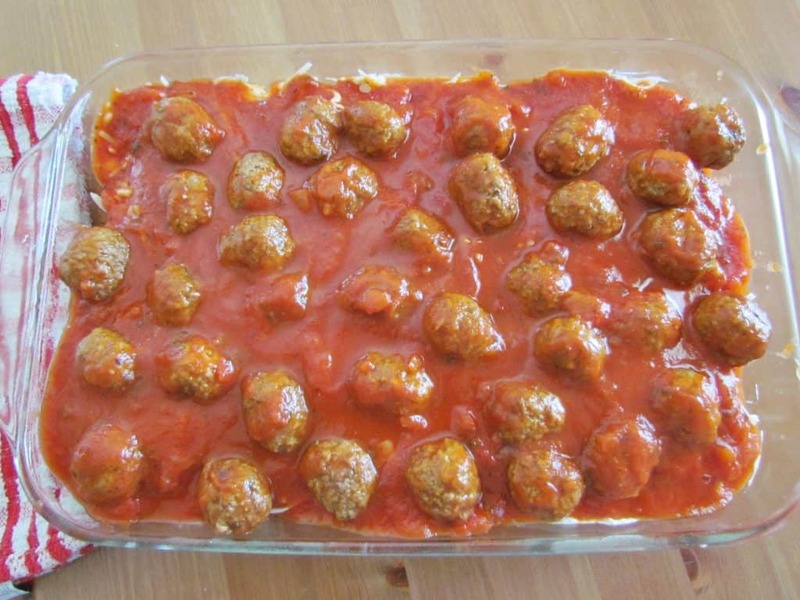 Gently mix together spaghetti sauce and meatballs. I was searching for a comment by someone who has actually tried the recipe because when I saw mayo and cream cheese mixed together I thought it was such an odd combo. I couldn't find a comment like that only a bunch of people wanting the cookbook.. I was a little nervous but I went ahead and tried it.. Let me tell you I have a four (almost 5 in a week) year old boy who is so picky and only eats the meatballs out of his spaghetti, but loves French bread and hummus. He approves of this casserole. Even in the stage of putting the cream cheese, mayo and Italian seasoning over the bread I kept having to replace my toasted bread slices bc he kept taking them to eat himself and give his dad to try. He loves to Cook with me in the kitchen and had a blast being my taste tester. I am going to be one of those people wanting that cookbook! 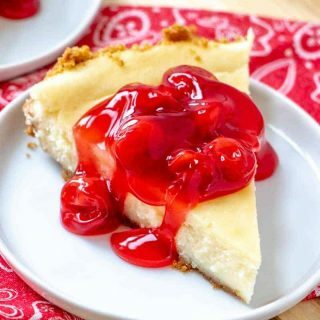 Thank you for such a wonderful recipe! I toasted my bread, and it still was mush when we served it. I dont toast my bread and it comes out perfect! My second time making it now! The whole family loves it. 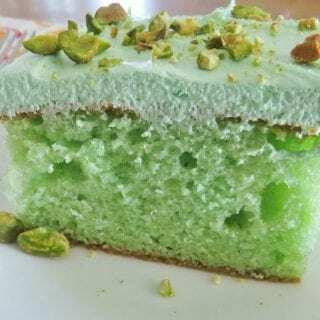 I have made this recipe 3-4 times and my family loves it. 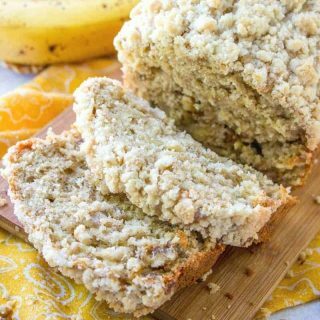 This last time, I used a French bread that was thinner and crusty, so it came out less mushy and even more delicious with some extra crunch in it! I didn't toast the bread before either. 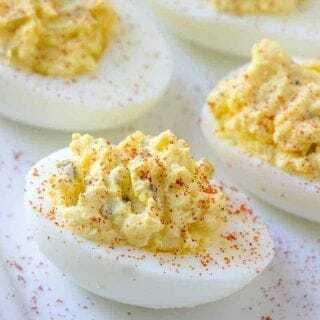 Love this super easy and quick recipe that's easy to throw together when I get home from work. Thanks! Has anybody tried this with garlic toast at the bottom in place of the bread? OBVIOUSLY not good for you but I bet it would be good! I’ve gone through the comments looking to see if anyone has tried making this ahead of time and freezing it with any success. No luck. I’ve made it fresh a few times and was just wondering if it would work from frozen. Great recipe! The bread I used ended up not being very good -maybe stale, I should’ve tested it before using. 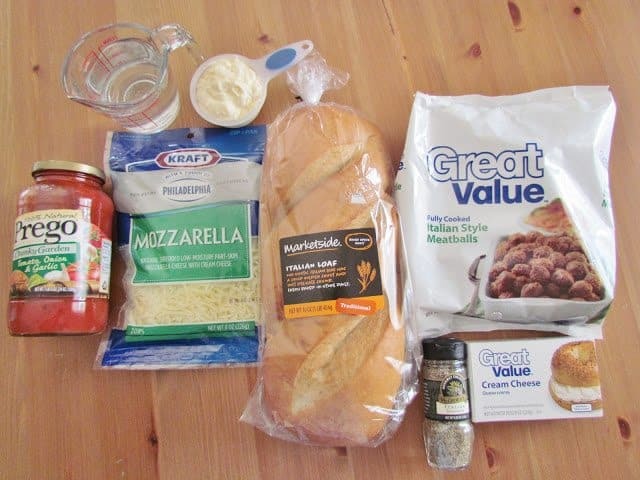 BUT, the next day I scooped off everything else and made meatball subs! Yum! Thanks for sharing! 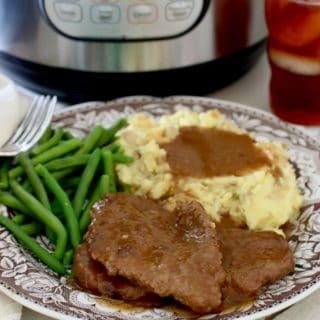 Hi, could you do this as a freezer meal? 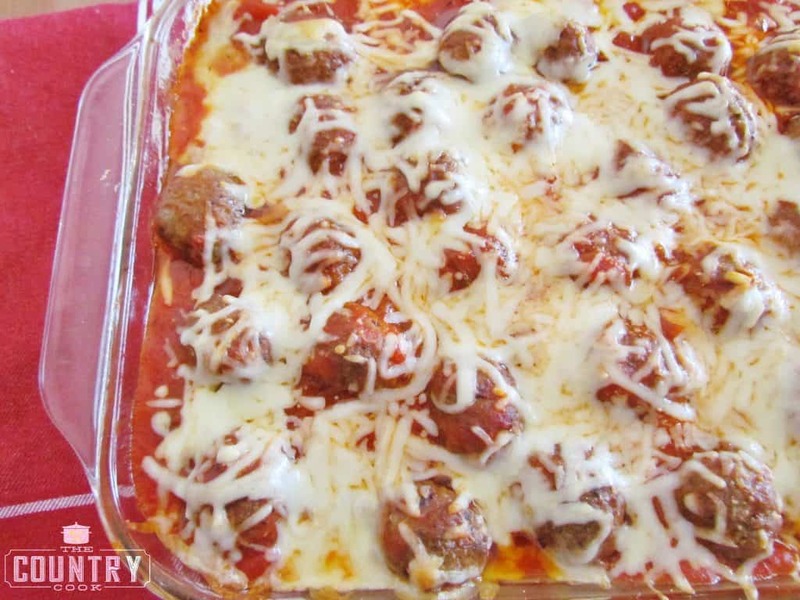 My son loves meatball subs, and this was an easier version of that!! Delicious! I did toast the bread prior as mentioned…PERFECT! Thank you! !